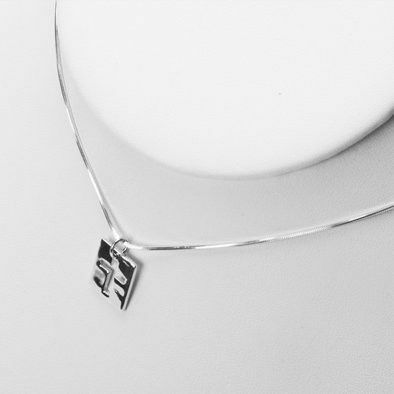 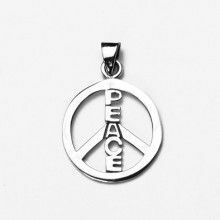 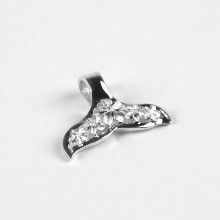 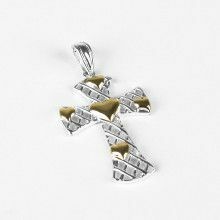 This pendant features a solid piece of genuine .925 sterling silver. 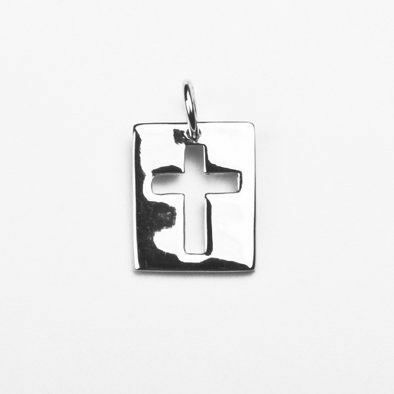 The center features an area removed in the shape of a cross. 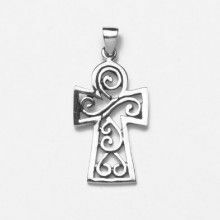 This pendant measures Approximately 3/4" long by 1/2" wide.